Summer Enrichment is a six-week program offered every summer for elementary and middle school children. 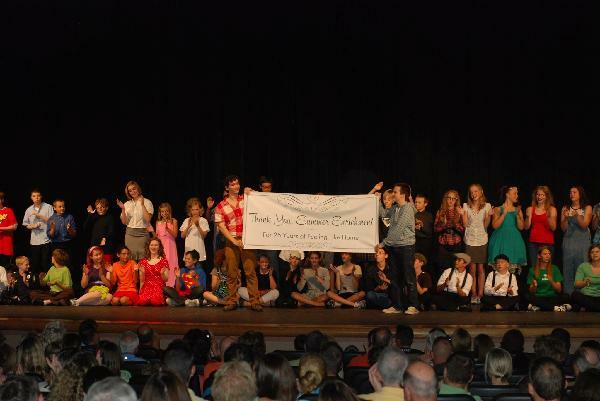 The main focus of this program is to prepare students for a play performance held the last night of the program. Please note, this year due to building modifications throughout the district, we will be meeting a South Lyon High School. Elementary children, grades 1st - 5th, meet from 10 AM-Noon Monday through Thursday mornings. Final drama performance is scheduled for Thursday, August 1, 2019. The fee is $120. Middle school children, grades 6th - 9th, meet from 1PM-4PM Monday through Thursday afternoons. Final drama performance is scheduled for Friday, August 2, 2019. The fee is $135. Each group has their own full production night followed by a social. Besides preparing for a performance, the children take part in a community outreach project, learning American Sign Language, an arts and craft project and a simple fund-raiser for a cause or charity. They also participate in cardiovascular activities. All children are welcome from 1st-9th grade. No child is turned away because of a disability or because of an inability to pay. Please contact the program chair below for additional information regarding scholarships. This program is funded by South Lyon Area Youth Assistance with other funding by local businesses and organizations. You can find more information on the program here. We need volunteers! If you are interested you MUST be entering 7th grade or higher. Interested students should contact the program chair, Jenny Cort at summerenrichmentprogram.ya@gmail.com.